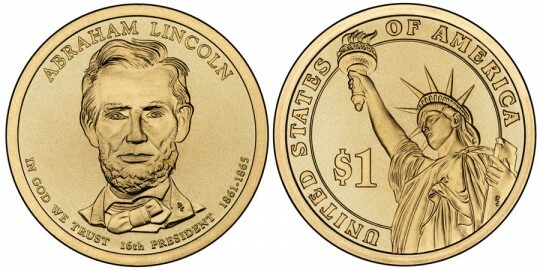 In what could be the most highly sought after coin in a series which started in 2007, the United States Mint will be releasing the Abraham Lincoln Presidential $1 Coin on November 18, 2010. Probably the most historically tragic figure to have held the nation's highest office, Abraham Lincoln was elected at the height of political tensions over the slavery issue. His political and professional training to this point could not have prepared him for the decisions he would soon be forced to make. With the American Civil War occurring during his tenure, Lincoln led the country to a costly victory over several southern states who had seceded to form the Confederate States of America. The war had been over only a few days before Lincoln was assassinated by a southern sympathizer. 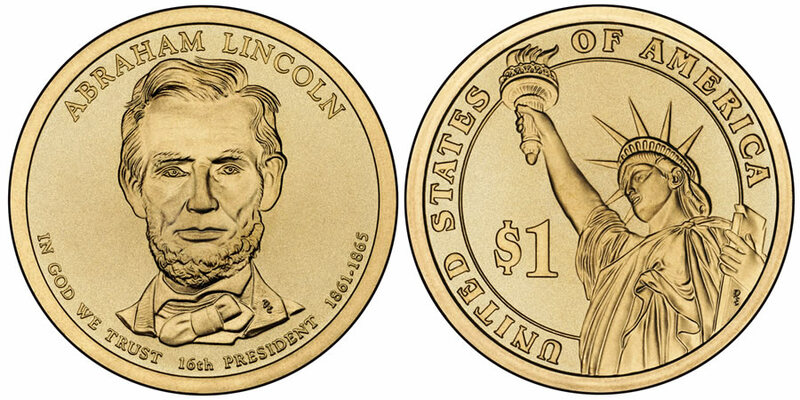 Don Everhart designed and engraved the Abraham Lincoln portrait seen on the obverse of his coin. Surrounding that portrait are the inscriptions "ABRAHAM LINCOLN," "IN GOD WE TRUST," "16TH PRESIDENT" and "1861-1865". The Statue of Liberty is featured on the reverse of all Presidential Dollar coins and was designed by Don Everhart. Around the statue the inscriptions "UNITED STATES OF AMERICA" and "$1" are shown.